I have had a career at the corporate for around 5 years. I pursued MBA with the money I saved from my job, only to be bound by 9/5 schedule once again! I thought happiness was limited to a highflying corporate firm and a fat pay package! Two sacrosanct holidays in a year were our fuel to slog for the rest of the year, Sayantan at his desk of the investment bank, I busy at creating visualizing panel at the market research job! Photo clicked by a friend from pre-blogger life: when holidays were very touristy! 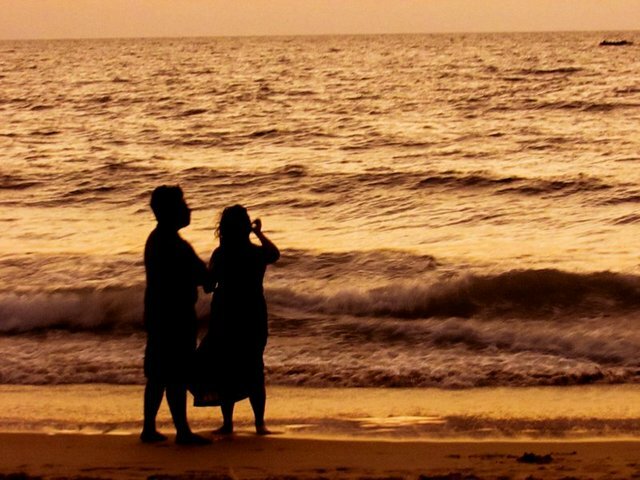 And yes, Goan sunsets are love! The idea to create a blog and making it a viable business struck only later when strangers from other parts of the world emailed stating they loved what I wrote and were inspired by the pictures! I was elated beyond words. That my written words can go out in the world and make a difference, can give a voice for the decaying art of the Patola weaves or inspire the Spanish lady to pay a visit to the Malla kingdom of Bishnupur was beyond my dream! But, it happened! 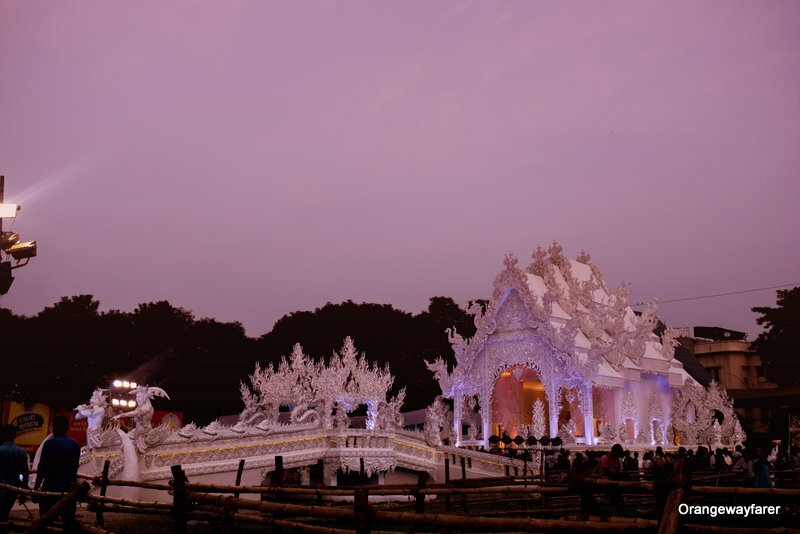 Chiang Rai from Thailand? Naah. The Durgapuja Pandel at Deshbondhu park, Kolkata! 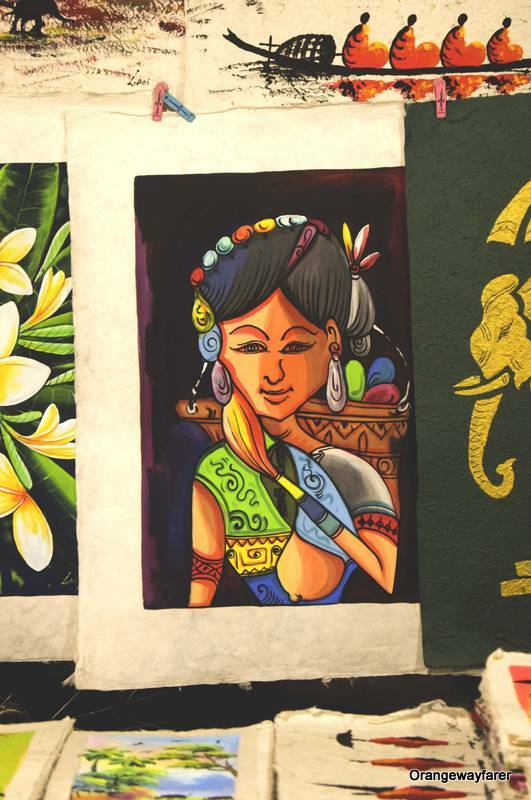 Also read, a photowalk in Kolkata’s Kumartuli! Before I knew, I was working for 16 hours a day or more. Two jobs. One at the office desk and the other one at home, in the loo, at the bed, before sleeping or while having lunch. Editing a picture, adjusting the dehaze option in Lightroom, making a note of the new word I came across in the opinion section of the newspaper, making endless lists for to-do things for the blog, to write, to SEO, to promote and more. I was tired of the boring job yet it was helping me earn money. Enough money to survive after I binge shop/eat/drink/plan a holiday/ pay off EMIs and more. But I am an MBA student. I graduated with sufficient knowledge about Maslow’s Hierarchy theory. I needed a workplace where I could belong to, could attain the elusive self-actualization. I created my own in this world that often berates your original idea! 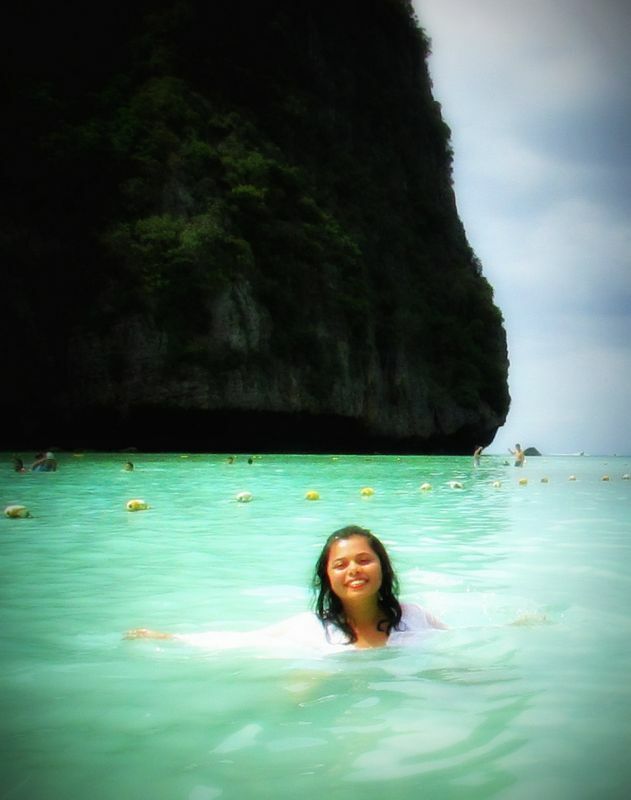 At the Phi Phi Island, Thailand, back when I believed a job is all I need! 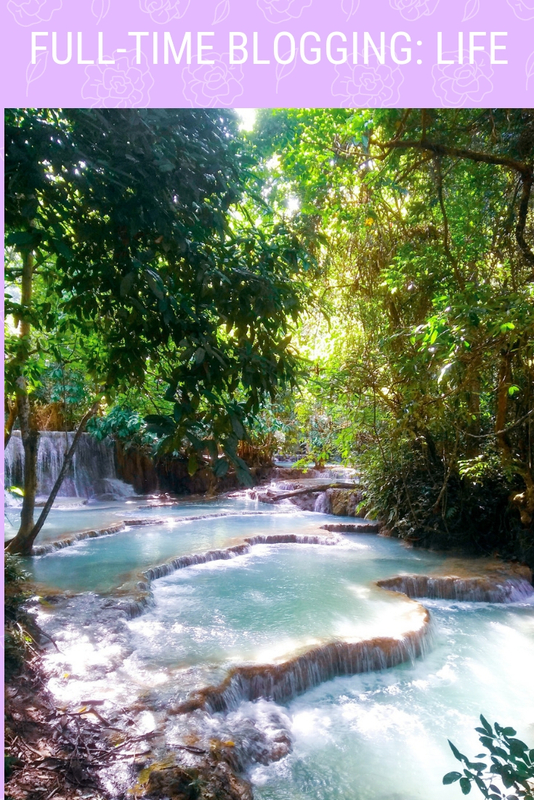 Suggested read, A two weeks itinerary to Thailand! In the course of events, my shoulder joint and muscles gave up. Pressed between choosing one life, I adhered to the blog and let go a salaried job, with a sabbatical for three months! Since I share most of my life stories on Instagram, hundreds of followers have asked me about this independent lifestyle and my source of income! There are plenty of blogs out there in the world that details out how it runs the show full time for individuals. I have had the good fortune of meeting a few full-time bloggers too. The most successful ones are the couples, so there you go! No dream is too big to achieve! 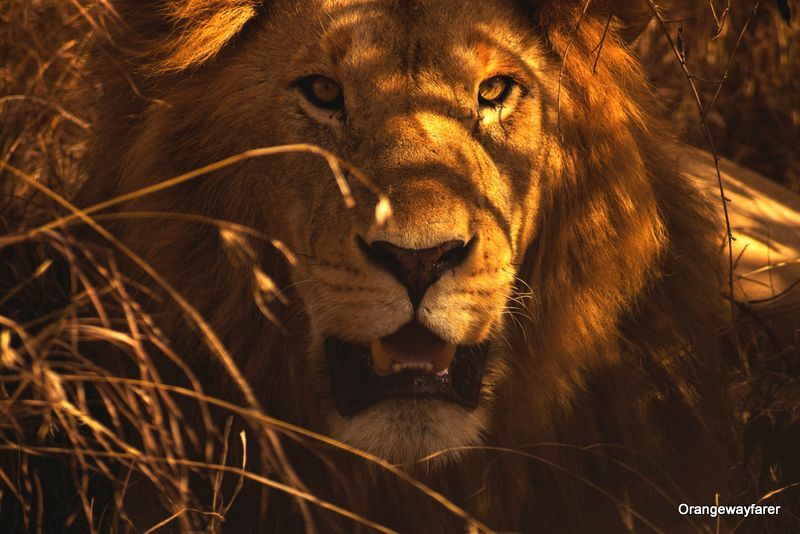 The King of the Jungle! You gotta be like him, the king! Also read, how to plan a trip to Kenya which will change your life! I am a marketing student. I knew the mantra narrated by Steve Jobs, “Stay hungry, stay foolish“. I did not know how to live that though! Now, after 9 months of blogging, I am hungrier than ever, more foolish than anyone. I am constantly on the lookout for better, relevant, fine “content” which will even surprise me after a few weeks! Did I really click that portrait of the Masai man? Did I really edit the sunset? Oh wow, how candidly the Kumartukli video is shot! A shot about which I am really proud. 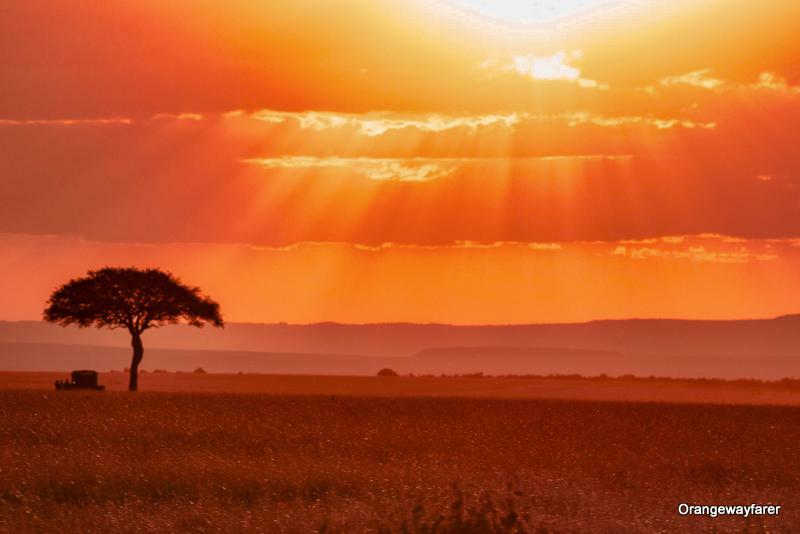 Also read, the sunset at Masai Mara! All these days, I have only heard of Amir Khan, being the perfectionist. Now, I understand him and feel the same zeal in my heart! I aspire to make my post the best in the category. I need it to tell the finest story, to cave out the dying folklore from the men of the yore. This, at times, sure drains me out yet satiates beyond what words can ever describe! And I learn more, every day! 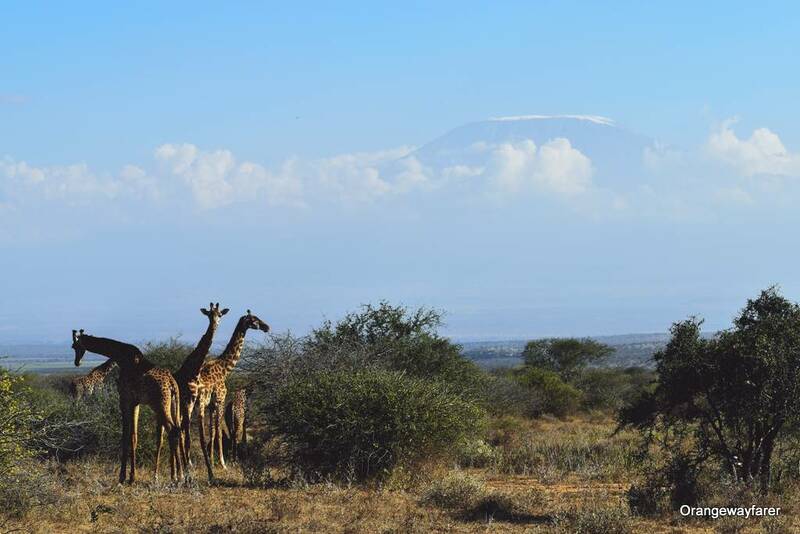 The iconic peak of Kilimanjaro uncovers as a few Giraffes inspect us! “I will go to the top, the top the top!” And I am here to amuse myself! If there is the one characteristic that I take immense pride in, that is being independent. It has been little more than 5 years I am living away from home. I have been able to support my own show! I secretly love the jives people make at me for choosing a lifestyle that is not dependent on anyone’s approval! But independence is expensive. “With great power, comes great responsibility!” So I need to make sure I am capable to support my whims and pleases and I did! Besides, money can help you buy amazing food! 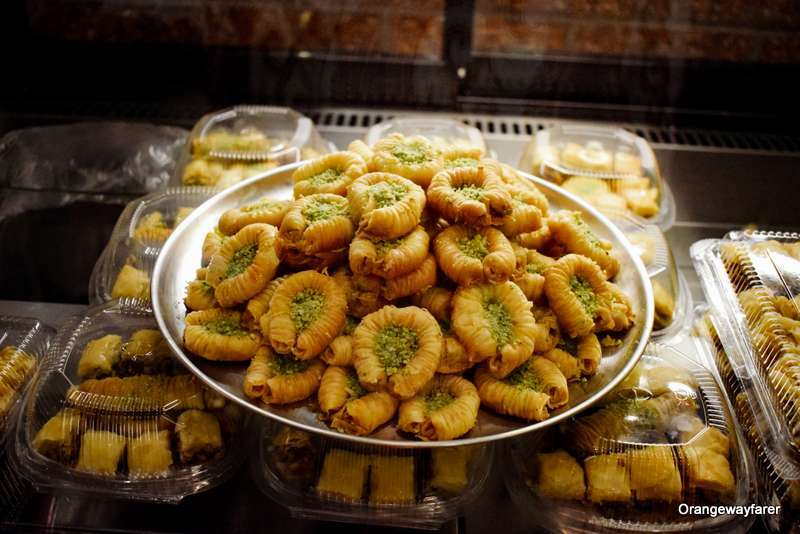 Also read, in search of what the Mughal empire ate at the Karims restaurant, Delhi! I saved some money, invested in SIPs, paid off the EMIs, bought minimal stuff, insured my life and health and in short, “de-cluttered” my life before going “jobless”! And, now that the sabbatical is approaching an end, I can only pat my back for taking that decision! I took up a few freelancing gigs that were relevant to my blog. The blog has grown up from a newborn baby to a toddler and fetches some currency imprinted with George Washington’s smirk! I love it! The blogging journey, so far, has made me conscious about the choices of friendship I have made in life! While Sayantan is now a dormant partner in the crime, I am extremely lucky to have a handful of friends who are “nice” to me during the midnight existential crisis! It is important to have friends to trust you when you are in the pursuit of something as intangible as blogging! It is also important to have those minds listen to your blabber, hear what you dream out loud, cheer you up as you embark on the next FAM trip (though FAM trips are not as fun as you would think them to be) and stand by you no matter what! I have a few of them! A cousin sister, Ira, whom I met a decade back, found me online and have showered her unconditional love at the most unexpected moment. 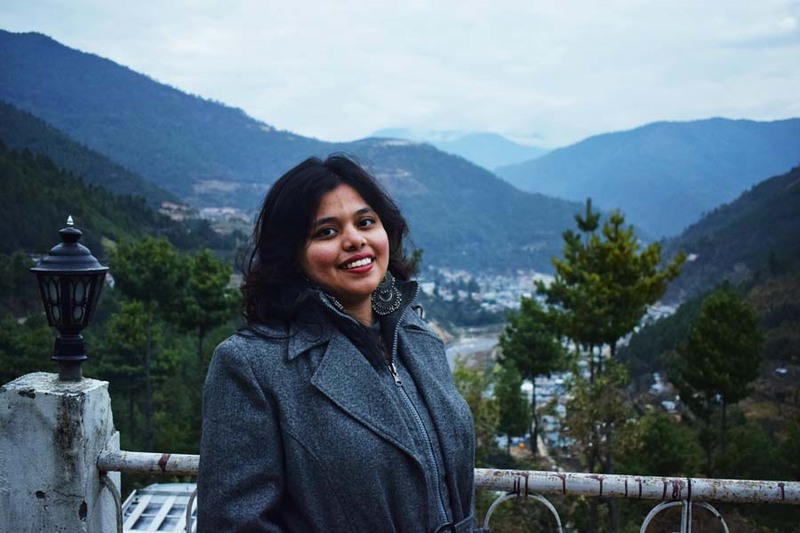 So did Dyuti, who is a maestro at creative writing (read her blog here and come back to me again!). “Make your blog Impeccable!” She told me once! Sabbah, who had saved my sinking soul in the initial days in Bangalore, has held my hands from far of Middle East. Shop Robert Frost’s work here! Beyond them, I have connected with a like-minded community of bloggers from across the globe. All of them are passionate individuals, extremely giving, inspiring on the everyday activities and making the world a better place to live and thrive! Karen is one such blogger whom I have admired from the very first day! Anuradha of Inditales has always been an inspiration and has pushed me to look beyond the realm of what eyes see and minds perceive! 4. Choose to be your own boss and work like there is no tomorrow! Blogging, specifically travel blogging is a lot of hard work! To establish a blog that attracts all the love from the massive search engine named Google, establishes a credibility in the industry, is a befitting platform to attract the brands which illuminate a similar set of value, being honest in opinion and ethicality, well researched, detailed and above all; is of utility to the readers is a huge task! Blogging is easier than creating such beautiful artwork. Not! And trust me, there is never any end to the work when you blog. A new idea will arise, it can occur in the middle of the night or it can strike when you are shopping for fresh fish! You need to forget the world and make arrangement for the idea to sit and flourish because you care! Even though a lot of credit of streamlining my work goes to the previous work experience, I am pleasantly surprised to see the to-do listicles in place, the photo folders kept at a certain address on the laptop, being backed up on time, new articles being churned out on a regular basis! A few days back, everything was a mess and I spent a lot of time stressing about clearing the mess (and not doing anything)! 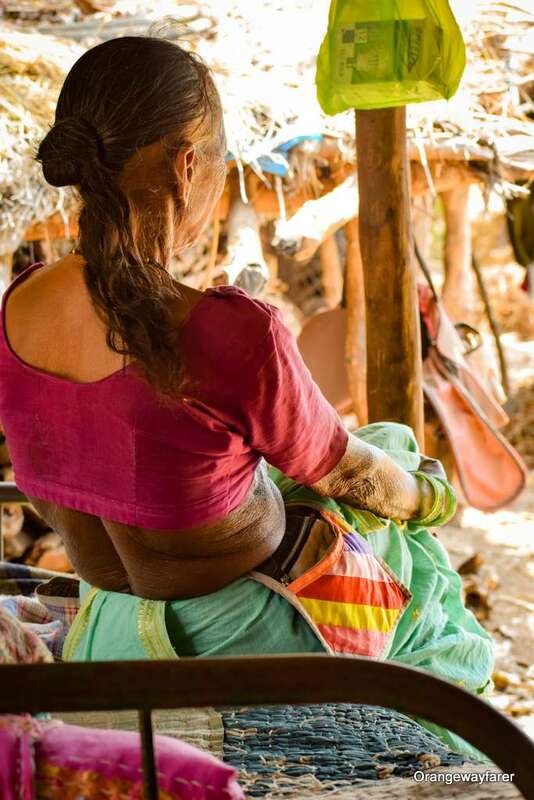 A lady from the Purushwadi village watches as a group of urban children were busy using an axe and a dried up branch! Also read, camping with the roots at the Purushwadi village, Maharashtra! The importance of planning and documentation was learnt beforehand but was put to place during this sabbatical period! And how glad I am that I could do it! In this marathon, I often forgot to take care of my own self! Initially, my days looked like, waking up- sitting in front of the laptop- eating lunch- sitting in front of the laptop- eating dinner- going to sleep- dream blogging! It clearly did not work out. My mental mechanism was on the verge of collapsing! You see, a 9/5 job is what is expected of a middle-class man and disciplines him in the process. You find time out for yourself in that schedule. But blogging was an exception! The plan is to reach Nirvana, someday! 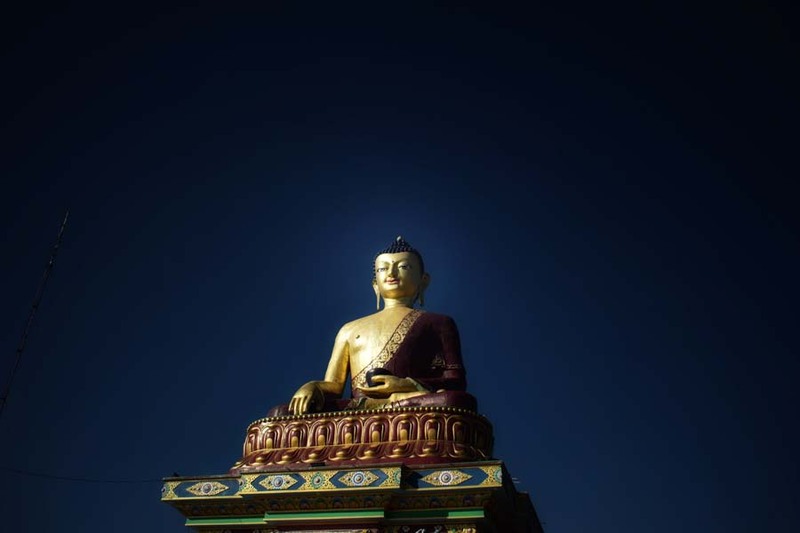 Also read, the road trip essential to Arunachal Pradesh, the last Sangrila of India’s far east! From the social media accounts, it looked like I am travelling the world happy with the lover by side. But in reality, I was trying to perfect the camera angle of backing up data or sending freelance write up or “creating content” (read: writing and editing and frantically looking for wifi!). Soon after, I took to healing my mind! Yoga and a bit of exercising helped! I forced myself to go out of the room (the first month, I went out only for a couple of days!) and interacted with people. I ran for some time. I watched Phagun Bou and the entire Bou series of movies by Anjan Chowdhuri. I also read Naipaul’s travel stories (Among the believer being my favourite). I took time off at the end of every week. It helped restored sanity! Blogging is also a journey to love yourself, and reclaim the life! Here I am, back then a newbie to the Travel Blogging Life! And then, when life seemed to be all sorted, I have to set aside all my work and run to the native, where wifi is still mostly an alien concept, meaning least of work will get done. I am not exactly sure how many days it will take, but I do not mind, because of priorities! Which is another thing I learnt during full-time blogger life, priorities in life must not be compromised! How exactly one deals with FOMO? I am yet to learn about it! During his twelfth standard, my brother wrote NEVER GIVE UP, thousand times, on all the walls of the house. We laughed our hearts’ content. But he came out with flying colours. A coveted Bodo thali! I love this one, just so you know! 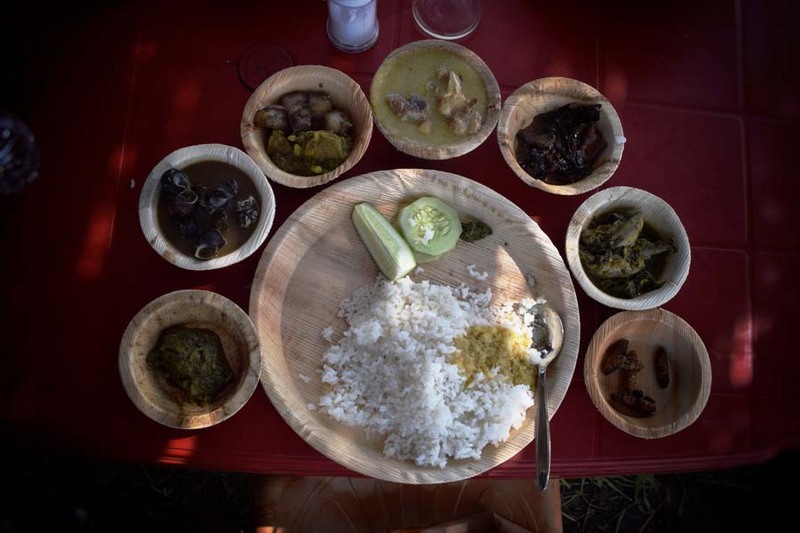 the first FAM trip to Manas National Park that landed to me through Instagram! Also read, how Assam’s Manas National Park came back to life from the blink! These days, I remember those Never Give Up sermons written in bright pastel all over the almirah, cupboard, kitchen door and his bedroom. 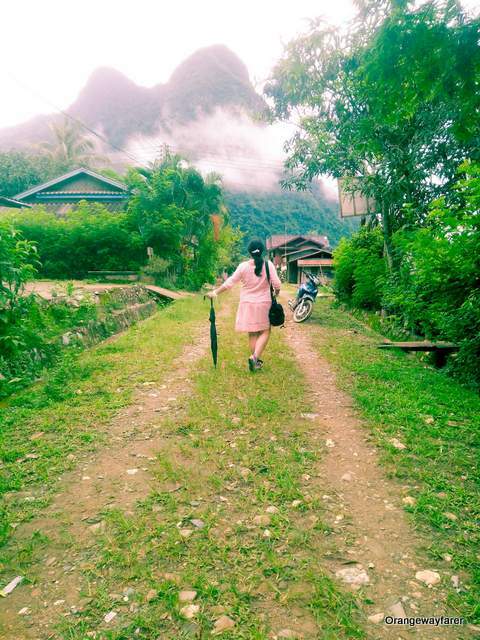 Right at the moment, I had given up hope, I was invited for a press trip to Laos. Right when I thought Google will never recognise me, the sight was flooded with organic traffic (the Ramadan food article. See I am smart. I published it just before Eid!). Right when I found the bank balance taking a dip, I secured a few writing gigs for those international magazines (one of the few moments when I hardly blame our weak currency exchange power). The point is to believe in yourself and allow time to play its magic! I am hopeful to write another inspirational post about the Travel Blogging Life in a few months’ time that will tell you the secret of “quit your job and travel the world fulltime!” This was just a teaser, Netflix style! Loved the read? Pin it! Interesting read. Keep writing!!! Can’t wait to read more. ? Beautifully penned thoughts, experiences and views. Blogging is indeed time-consuming but again very satiating in some ways. I too take breaks often binging on novels, Netflix series and Youtube videos and surprisingly find my zing back after this indulgence. Now how long does this indulgence last is what is questionable! Haha. you have no idea how inspired and uplifted I feel right now after reading this wonderful piece shared by you. This is the blog I needed to read today. I can relate so much to you. I worked hard for years to land a job in a dream company (one of the world’s best when it comes to how they treat employees I’d say) and then this blogging ka bhut came upon me. I have been blogging incessantly for 5 months now hoping for quick results – like brands lining up to collaborate me and what not. Till now I earnt nothing from my blog except the realization that this is what I love. No matter how well my company treats me, I’m probably never going to feel so passionate about my job as I feel about blogging. I am still looking for one important question to be answered – is blogging worth leaving the corporate world for good, which insures the fat cheque at the end of the month? I hate my weekends where I am practically in front of laptop all day, like you said. My dilemma just never goes.May be time will tell. Truly, an inspiring post. Thank you. It’s actually a nice and helpful piece of information. I am glad that you just shared thishelpful info with us. Please keep us informed like this.Thank you for sharing.